*In: Martínez Arbizu, P. & Brix, S. (Eds) (2008) Bringing Light into Deep-sea Biodiversity. Zootaxa, 1866, 1–574. recorded from the Maastrichtian (Upper Cretaceous) from Maud Rise and Northeastern Georgia Rise respectively (Majoran et al. 1997). In the Cenozoic, few unidentified species of the genus Cytherella were reported from the Palaeocene and Eocene of the Maud Rise (Majoran & Dingle 2002) and from the Oligocene of the Victoria Land Basin (Dingle & Majoran 2001). In addition, a number of fossil and living platycopids have been collected from the deep-sea southern Atlantic and Indic / Pacific Oceans, with special reference to the highly diverse fauna of the Tasman Sea, and the Challenger and Campbell Plateaus: Cytherella hiatus Swanson et al. 2005, C. intonsa Swanson et al. 2005, C. corpusculum Swanson et al. 2005, C. plusminusve Swanson et al. 2005, C. permutata Swanson et al. 2005, Grammcythella dyspnoea Swanson et al. 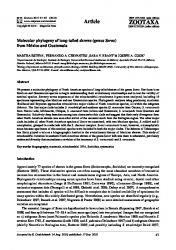 2005, and Inversacytherella tanantia Swanson et al. 200 (Jellinek & Swanson 2003, Swanson et al. 2005). The theory on the relationship between the O2 concentration in the water mass and the numerical abundance of filter feeding ostracods, including the genus Cytherella, states that the filter feeding strategy would cause a higher ecological success of during kenoxic/anoxic events, because the higher water circulation inside the carapace (Whatley 1991). Furthermore, eggs brooded by the female inside of the carapace, would also profit from the higher ventilation and would consequently have higher survival chances than eggs lain in the environment (Jarvis et al. 1988). This hypothesis is tested in the present study. In the present work, 207 live specimens of a recent platycopid species are studied. This material was collected during two cruises of the R. V. Polarstern from the continental slope off Antarctica (Weddell and Scotia Seas). These specimens belong to a new species, Cytherella rwhatleyi sp. nov., described and illustrated herein. The large number of living specimens made an evaluation on the intraspecific morphological variability in a deep-sea cytherellid possible. This evaluation is one of the key objectives of the taxonomy and has important implications for studies of biodiversity, genetic, paleoenvironmental, and geochemistry. Furthermore, I studied the type material of Cytherella serratula (Brady, 1880) and discuss its previous records, which proposed geographical distribution include from the North and South Atlantic, the IndoPacific and the Southern oceans. Based on published illustrations, the morphologies of the different specimens are compared. podomere nomenclature mostly follow Tsukagoshi et al. (2006, Figs. 7-9). The chaetotaxy descriptions are based on Schornikov and Keyser (2004), with one modification: c=comb setae (of mandible and maxilla I), l=long (for setae), m=medium-sized (for setae). Maps were made on Ocean Data View Program (Schlitzer 2007). Abbreviations. A, adult(s); (A-1), (A-2), (A-3), juvenile stages; AGT, Agassiz trawl; AI, antenna I; AII, antenna II; ApV, ApVI, ApVII, fifth to seventh appendages; BM, The Natural History Museum, London (England); GKG, giant boxcorer; dv, dorsal view; EBS, epibenthicsledge; ev, external view; H, height; HP, hemipenis; iv, internal view; L, length; LV, left valve(s); Md, mandible; m, metres; mm, millimetres; MxI, maxilla I; RLV, closed right and left valves without soft parts; RV, right valve(s); SNB, specimen number as catalogued by the present author; SP, soft parts; sp(p)., species (plural); V, valve(s); ZMH, Zoologisches Institut und Museum, University of Hamburg (Germany); #, station; ~, approximately. Taxonomy Class Ostracoda Latreille, 1802, Subclass Podocopa Müller, 1894, Order Platycopida Sars, 1866, Suborder Platycopina Sars, 1866, Superfamily Cytherelloidea Sars, 1866 Family Cytherellidae Sars, 1866 Genus Cytherella Jones, 1849 Type-species. Cytherella ovata (Roemer, 1840) Cytherella rwhatleyi sp. nov. (Figs. 1–8, Tabs. 1, 2, 4) Etymology. In honour of Dr. Robin Whatley, who published many studies on fossil and recent ostracods. Material. 207 live specimens (64 adult males, 124 adult females, 15 (A-1), 1 (A-?2) + 3 specimens), 1 female RLV, 1 female RV. Holotype – 1 adult male (SNB 0131), EASIZ II, # 89, ZMH K-41280. Paratypes – 15 adult males, 10 adult females, 3 (A-1), (SNB 0018, 0132-4), 1 adult female RV, EASIZ II, # 89, ZMH K-41282; 1 adult male (SNB 0135), 4 adult females (SNB 0136), EASIZ II, # 107, ZMH K41283; 1 adult male (SNB 0159), 1 adult female (SNB 0158), ANDEEP III, # 57 – 2, ZMH K-41284; 1 adult male (SNB 0169), 1 adult female (SNB 0168), + 2 adult and 1 juvenile specimens, ANDEEP III, # 153 – 4, ZMH K-41285; 15 adult males (SNB 0170), 14 adult females, 8 (A-1) (SNB 0688, 0690-1), 1 (A-?2) (SNB 0689), ANDEEP III, # 153 – 7 – E, ZMH K-41286; 28 adult males, 81 adult females, 4 (A-1), 1 female RLV, ANDEEP III, # 153 – 7 – S, ZMH K-41287; 2 adult males (SNB 0693-4), 13 adult females (SNB 0692, 06970701), ANDEEP III, # 153 – 8, ZMH K-41288. Distribution. Northeastern Weddell Sea and Southwestern Scotia Sea, Antarctic Region of the Southern Ocean, 938 and 2069m. V Measurements (Fig. 2). Holotype—RV L 1.03mm, H 0.58mm, LV L 1.02mm, H 0.53mm; Paratypes— adult male RV L 1.01–1.08mm, H 0.57–0.61mm; adult females RV L 1.00–1.11mm, H 0.58–0.65mm; (A-1) RV L 0.85 – 0.90mm, H 0.54 – 0.58mm; (A-?2) RV 0.72mm, H 0.42mm. Diagnosis. In lateral view, RV and LV oval – sub-rectangular; very wide rim present on entire valve margin in males, but only on anterodorsal to ventral areas of valves in females; anterior margin more broadly rounded than posterior; pronounced selvage present, with shorter and longer radial setae. Lateral surface with medium-sized, shallow, punctae present on almost entire valve surface except by the adductor muscle scar and ventral – anteroventral areas. Genital lobe proximally subcircular, with “beak-shaped” distal process, which is convex anteriorly and concave posteriorly. HP very elongated and relatively thin, with “heart-shaped” proximal lobe, and subtriangular distal lobe. FIGURE 1. Previous records of Platycopida in the Southern Ocean and vicinities. Fossil records included only for the Antarctic region, for other regions only recent and subfossil records represented. 1—Cytherella corpusculum Swanson et al. 2005, Recent; 2—Cytherella hermargentina Whatley et al. 1998, subfossil; 3—Cytherella hiatus Swanson et al. 2005, Recent; 4—Cytherella intonsa Swanson et al. 2005, Recent; 5—Cytherella permutata Swanson et al. 2005, Recent; 6—Cytherella pleistocenica Bergue et al. 2007, Late Quaternary; 7—Cytherella plusminusve Swanson et al. 2005, Recent; 8—Cytherella punctata Brady, 1865, Recent??? ; 9—Cytherella santosensis Bergue et al. 2007, Late Quaternary; 10—Cytherelloidea megaspirocostata Majoran & Widmark, 1998, Upper Cretaceous (from Fauth et al. 2003); 11—Grammcythella dyspnoea Swanson et al. 2005, Recent; 12—Inversacythella tanantia Swanson et al. 2005, Recent; 13–17—Cytherella spp. (as C. serratula (Brady, 1880)), Paleocene to Recent; 18—Cytherella spp.—as C. cavernosa, C. cingulata, C. polita, C. punctata, and C. pulchra from the first report on the Challenger expedition ostracods (Brady 1880), Recent; 19–26—Cytherella spp., Upper Cretaceous to Recent; 27—Cytherelloidea sp., Late Cretaceous to Oligocene; 28—Cytherella rwhatleyi sp. nov., Recent. Bibliographical Sources: 1, 3–5, 7, 11, 12—from Jellinek & Swanson (2003) and Swanson et al. (2005); 2—from Bergue et al. (2007), Whatley & Cusminsky (2002), and Whatley et al. (1996, 1997,1998); 6, 9, 17—from Bergue et al. (2007); 8—from Chapman (1919); 10—Cytherelloidea megaspirocostata Majoran & Widmark, 1998, Upper Cretaceous (from Fauth et al. 2003); 13—from Brady 1880; 14—Quaternary, from Dingle et al. (1990); 15—Eocene, from Majoran & Dingle (2002); 16—Palaeocene to Oligocene, Majoran & Dingle (2002); 18—Recent, Brady, 1880; 19—Oligocene, from Dingle & Majoran (2001); 20—Upper Cretaceous, from Fauth et al. (2003); 21—Quaternary, from Dingle et al. (1990); 22—Eocene, from Majoran & Dingle (2001b); 23—subfossil, from Mazzini (2005); 24—Late Cretaceous, from Majoran et al. (1997); 25—Peypouquet & Benson (1980); 26—subfossil, from Whatley et al. (1997, 1998); 27—Eocene to Oligocene, from Majoran & Dingle (2002); 28—Recent, herein. FIGURE 2. Length: height scatter plot of adult and juvenile valves of Cytherella rwhatleyi sp. nov.
NI—no information available. For other abbreviations see Material and Methods. For abbreviations see Material and Methods. AI robust, with 7 podomeres, podomere III subtriangular; chaetotaxy 1(0/.3.1.1), 2(.1r/.3), 3(.1/1r), 4(.3/ 0:1,1,1), 5(0/0:2,1), 6(.1m,1r/0:2l), 7(0/0:3m,0-1r.1m). Base of AII with barbed dorsal margin; endopodite podomere I with 6 (3 ventral plus 3 distal) modified setae, which lack any kind of pore indicative of chemical reception; chaetotaxy—Coxa (.1.1/0), Basis (0/.2-3), Exopodite I (0/0: 4-5), Exopodite II (.0-1./0:7), Endopodite I (0/3r. :6-7.5-6,3r), Endopodite II+III (.1-2.1-2/.1), Endopodite IV (0/.1.:3). Coxa of Md with 2 endites finely denticulate distally; approximatelly 60 comb setae; chaetotaxy—Exopodite (4), Endopodite I (0/0:3). Endites of MxI with numerous setae and barbae; MxI chaetotaxy —Coxa (.1/0), Base (0/.11.4,~50c), Exopodite (~30), Endopodite I (.1-2/.1.1.1.1. ), Endopodite II (0/0:3-4). ApV strongly sexually dimorphic, endopodite well developed, hook-shaped in male and reduced in female; chaetotaxy of ApV of male —Endite (7-8,0-1r), Exopodite (~20), Endopodite I (0/.2.1-2), Endopodite II (0/.1-2.1-2.2-3), Endopodite III (0/.1:1,12). ApVI also strongly sexually dimorphic, endopodite well developed, hook-shaped in male and absent in female; chaetotaxy of ApVI of male —Exopodite (~13), Endopodite I (0/.1.1. ), Endopodite II (.1l/.1.1.1), Endopodite III (0/.1:3); chaetotaxy of ApVI of female —Exopodite (~7). Fu a pair of lamella bearing 9 to 11 feathered setae plus 1 reduced seta. HP very elongated and relatively thin, with “heart-shaped” proximal lobe, and subtriangular distal lobe. Genital lobe proximally subcircular, with “beak-shaped” distal process, which is convex anteriorly and concave posteriorly. Trunk with 11 segments, males bearing several short setae and females bearing long setae. HP inserted in segments V to VII (segment I most posterior, following Tsukagoshi et al. 2006), genital lobe inserted in segments V to VIII. FIGURE 3. Adult valves of Cytherella rwhatleyi sp. nov. from the different stations in the Scotia and Weddell Seas. A, C, E, G, I, K, RV ev; B, D, F, H, J, L, LV ev; M, RV and LV dv; N, RLV dv; O, RLV vv; P, adductor muscle scars. A, B, paratype adult female (ZMH K-41282, SNB 0018); C, D, paratype adult female (ZMH K-41283, SNB 0136); E, F, paratype adult female (ZMH K-41285, SNB 0168); G, H, M, holotype adult male (ZMH K-41280, SNB 0131); I, J, paratype adult male (ZMH K-41283, SNB 0135); K, L, paratype adult male (ZMH K-41286, SNB 0170); N, paratype adult female (ZMH K-41288, SNB 0696); O, paratype adult female (ZMH K-41288, SNB 0695). Scale bars: A-O, 500µm; P, 20 µm. FIGURE 4. Adult and juvenile valves of Cytherella rwhatleyi sp. nov. A, C, G, LV iv; B, D, H, K, RV iv; E, I, RV ev; F, J, LV ev; L, ornamentation of medio-dorsal area of external surface of RV; M, long setae and ornamentation on posterior of RV; N, chitin mesh of outer lamella; O, detail of a muscle scar; P, Q, selvage iv; R, chitin fibres beneath the endocuticule of the outer lamella; S-U, sensilla. A, B, paratype adult male (ZMH K-41282, SNB 0133); C, D, paratype adult female (ZMH K-41282, SNB 0018); E, F, paratype (A-1) (ZMH K-41286, SNB 0688); G, H, paratype (A-1) (ZMH K-41286, SNB 0691); I, J, S, T, paratype (A-?2) (ZMH K-41286, SNB 0689); K, P, paratype adult female (ZMH K-41286, SNB 0692); L, paratype adult male (ZMH K-41286, SNB 0170); M, paratype adult female (ZMH K-41283, SNB 0136); N, O, Q, R, paratype adult female (ZMH K-41288, SNB 0697); U, paratype adult female (ZMH K-41283, SNB 0136). Scale bars: A-K, 500µm; L, P, 50 µm; M, 100 µm; N, 500 nm; O, 5 µm; Q, S-U, 10 µm; R, 1 µm. FIGURE 5. Number of eggs brooded by single females of Cytherella rwhatleyi sp. nov. Absolute values on table 2. Dingle et al. (1989, 1990) also reported [sic] C. serratula from Southeastern Atlantic (1000 to 2070m) (Fig. 1.10) and Mazzini (2005) illustrated a similar species from Emerald Basin (Southern Ocean, Indic – Pacific Sector) (Fig. 1. 18). Both species lack surface punctation, are much higher in relation to length, and present more broadly rounded RV and more narrowly rounded posteroventral margin than C. rwhatleyi sp. nov. Cytherella hemipuncta Swanson, 1969 described from the Miocene of New Zealand present irregularly spaced punctae, which are larger than the punctae of Cytherella rwhatleyi sp. nov. Cytherella rwhatleyi sp. nov. is similar in shape to C. cf. hemipuncta Swanson, 1969 recorded by Ayress (1995) from the Eocene of New Zealand, but the latter lacks the wide rim on the lateral valve surface. Cytherella rwhatleyi sp. nov. can be distinguished from the Cytherella species recorded by Majoran & Dingle (2002) from the Maud rise (Weddell Sea) (Fig. 1.14), owing to the more subquadrate outline and relatively straight dorsal margin of the former. Cytherella sp. 4796 from the Oligocene of Victoria Land Basin, Antarctica (77S, 63E) (Dingle & Majoran, 2001) (Fig. 1.11) has a more rounded outline than the new species described herein. The oldest record of a cytherellid in Antarctica dates from the Campanian (Upper Cretaceous) of James Ross Island, where Fauth et al. (2003) recorded two undescribed Cytherella species (Fig. 1.12). Cytherella sp. 1 resembles C. rwhatleyi sp. nov in outline, but the former has a more concave ventral margin, whereas the outline of C. sp. 2 is much more rounded than that of the new species. Furthermore, both cretaceous species lack the conspicuous rim of C. rwhatleyi sp. nov. Majoran & Dingle (2001a) recorded Cytherella sp. from the Southwestern South Atlantic (Deep-Sea Drilling Project /Ocean Drilling Program sites 329, 513 and 699) (fig. 1.13). Cytherella rwhatleyi sp. nov. has a more quadrate outline and straight dorsal margin, while C. sp. (Majoran & Dingle 2001a, pl. 1.6) is more rounded with a convex dorsal margin. Cytherella pleistocenica Berge et al. 2007 differs from the new species described herein by the absence of the wide rim of valves. Cytherella rwhatleyi sp. nov. is very similar to Cytherella santosensis Bergue et al. 2007 described from the Late Quaternary Santos Basin (SW Atlantic, off Southeastern Brazil) in the presence of the wide rim on the anterior, ventral and posterior areas of the valve surface (Fig. 1.20), but the outline of the former species is more equilateral, with less broadly rounded anterior margin. Furthermore, the centrodorsal area of lateral surface is more steeply elevated and the ornamentation is stronger in C. rwhatleyi than in C. santosensis. The similarity between these two spp. (valve outline, wide rim, and punctate lateral surface), one in the Southern Ocean, the other occurring in the Southwestern Atlantic demonstrates a possible migration route, made facilitated by the deep-water currents. A large quantity of the deep waters in the world has its origin in the Weddell Sea, where the new sp. described herein occurs. There the surface water is cooled and sinks to the ocean bottom, migrating then northwards in the Atlantic, Pacific and Indic Oceans (Tomczak & Godfrey 2002). Otherwise it seams that the velocity, and probably also the frequency, in which the migration occurs is not high enough to maintain the genetic flux between two populations, one in the South Atlantic and the other in the Weddell Sea. As a consequence of that, allopatric speciation occurred and we observe similar but easily differentiable species, one in the Atlantic and the other in the Weddell and Scotia Seas. FIGURE 6. “Soft parts” of Cytherella rwhatleyi sp. nov. A, C, modified setae of AII (not aesthetasc); B, AII; D, Md; E, Md endites; F, MxI and female ApV; G, male ApV; H, Fu; I, posterior of female (showing body segementation, posterior dimorphic setae, genital lobe, Fu and eggs); J, genital lobe; K, details of distal part of posterior dimorphic setae (inserted on posterior segments of body); L-N, body posterior and comb setae of specimen parasited by ?fungi and ?bacteria. A-F, H, K, paratype adult female (SNB 0698); G, paratype adult male (ZMH K-41288, SNB 0694); I, J, paratype adult female (SNB 0699); L-N, paratype adult female (SNB 0697). All ZMH K-41288. Scale bars: A, E, F, J, K, L, 10µm; B, D, G, H, 50 µm; C, M, 5 µm; I, 100 µm; N, 500 nm. FIGURE 7. Valves and appendages of Cytherella rwhatleyi sp. nov. A, C, RV ev; B, D, LV ev; E, AI, F, AII, G, Md; H, MxI (ventral setae not shown); I, MxI (comb setae not shown); J, female ApVI. A, B, paratype adult female (ZMH K-41284, SNB 0158); C, D, paratype adult male (ZMH K 41284, SNB 0159); E-G, holotype adult male (ZMH K-41280, SNB 0131); H, I, paratype adult female (ZMH K-41282, SNB 0134); J, paratype adult female (ZMH K-41283, SNB 0136). Scale bars: A-D, 500µm; E-J, 100µm. FIGURE 8. Appendages and genitalia of Cytherella rwhatleyi sp. nov. A, male ApV; B, male ApVI; C, furca; D, genital lobe; E, Posterior dimorphic setae; F, hemipenis; G, brush-shaped organ. A, B, G, F, holotype adult male (ZMH K-41280, SNB 0131); C-E, paratype adult female (ZMH K-41282, SNB 0134). Scale bars: 100 µm. 1880 Cythere (?) serratula Brady: 77, Pl. 43.a-d. 1896 Cytherella serratula—Brady & Norman: 713-716. 1976 Cytherella serratula—Puri & Hulings: 288, Pl. 24.15, 16. 1979 Cytherella sp. 11 Ducasse & Peypouquet: 355, Pl. 1.3,4. 1983 Cytherella sp. B Cronin: Pl. 6.E. 1985 Cytherella sp. Guernet: 281, Pl. 1.2. 1985 Cytherella sp. Guernet: 281, Pl. 1.4. 1987 Cytherella serratula—Whatley & Coles: 96, Pl. 6.30, 31. 1990 Cytherella serratula—Dingle et al., 254-6, Fig.5.A-C. 1993 Cytherella serratula—Whatley & Arias:283, Pl.1.1. 1996 Cytherella serratula—Aiello et al., Pl. 6.1-4 (S.E.M. photos the lectotype and paralectotype). 1996 Cytherella serratula—Coles et al., Pl. 6.14, 15 2002 Cytherella serratula—Majoran & Dingle: 149, Pl. 3.20. 2006 Cytherella serratula—Bergue et al. : 209. 2007 Cytherella serratula—Bergue et al. : 7, Fig.3. off Culebra Island, West Indies, 390fms (=713m). This specimen was designated lectotype and described by Puri & Hulings (1976: 288-289, Pl. 24.15-16), also examined and figured by Aiello et al. (1996, pl. 6.2-4). Herein this lectotype is illustrated in Fig. 9.A-D. FIGURE 9. Valves of Cytherella serratula (Brady, 1880) (lectotype and paralectotype) and Cytherella sp. Cytherella serratula (Brady, 1880) – Lectotype RV (BM 80.38.113): A, B, posterior ornamentation; C, ev; D, pore canals. Paralectotype LV (BM 80.38.113): LV; E, ev; F, G, posterior ornamentation. Cytherella sp. (BM 80.38.113): H, RV ev; J, posterior ornamentation; I, anterior ornamentation. Scale bars: A, 10µm; B, F, I, J, 100µm, C, E, H, 50µm; D, G, 50µm. very different specimens may be included in each species. In the other hand side are the species described in the second half of the 20th Century, which are “kept” more or less endemic, (in my opinion) because authors do not expect to find them in localities distant from where they were collected, but also importantly because the SEM illustrations provide much more information, avoiding that too different specimens are assigned to these species. Consequently, I consider Cytherella serratula (Brady, 1880) to be restricted to bathyal depths of Northwestern Atlantic (Type locality – Brady, 1880, Puri & Hulings 1976, and Aiello et al. 1996; and probably U. S. continental slope—Cronin, 1983). Meanwhile, more subquadrate forms, with larger height / length ratios known from the North Atlantic (Ducasse & Peypouquet 1979, Whatley & Coles 1987, Coles et al. 1996) and Southeastern Atlantic (Dingle et al. 1990), and more elongated forms from Northeastern Atlantic (Brady & Norman 1896), from the Indic Ocean (Guernet 1985) and Mediterranean Sea (Whatley & Arias 1993) should be assigned to different species. Similarly, forms with conspicuously sinuous outline collected from the Indic (Guernet 1985), and the Southern Ocean (Majoran & Dingle 2002) should also be described as different taxa. The specimens illustrated by Brady & Norman (1896) are conspicuously more equilateral (with broadly rounded posterior) than the type of C. serratula. Larger height/length ratio than lectotype of C. serratula. The illustrated specimens are conspicuously higher in relation to length than the types of C. serratula. Cronin (1983) identified the specimens as Cytherella sp. B. Afterwards, Aiello et al (1996) assigned them to C. robusta Colalongo & Pasini, 1980. Otherwise, Bergue et al (2007) assigned them to C. serratula. absent (?) or The specimens from the analysed in this publication differ considerably from the type specimens of this species: south Atlantic specimens present (1) more equilatfaint (?) eral outline in lateral view; (2) much more faint (or even absence) posterior ornamentation; (3) and presence of anterior ornamentation. Ducasse & Peypouquet (1979) identified the specimens as Cytherella sp. 11. Afterwards, Aiello et al ,1996 identified them as C. robusta Colalongo & Pasini, 1980. Otherwise, Bergue et al (2007) assigned them to Cytherella serratula. The 2 valves illustrated by Guernet (1985) most probably belong to 2 different species, both of them differing considerably from the lectotypes of C. serratula. The specimens illustrated by Majoran & Dingle (2002, pl. 3.20) present more arcuate dorsal margin and concave ventral margin than the lectotype of C. serratula. The illustrated specimens much more elongated (smaller length / height ratio) then the lectotype of C. serratula. These specimens is heigher in relation to length and present more arcuate dorsal margin than the lectotype of C. serratula. FIGURE 10. Published occurrences of Cytherella serratula (Brady, 1880). 1 – Type locality, from Brady (1880) and Puri & Hulings (1976); 2—from Brady 1880; 3—from Brady & Norman 1896; 4—from Ducasse & Peypouquet 1979; 5 – from Cronin 1983; 6 – from Guernet 1985; 7—from Whatley & Coles, 1987; 8—from Dingle et al., 1990; 9—from Whatley & Arias, 1993; 10—from Coles et al., 1996; 11—from Majoran & Dingle, 2002; 12—from Bergue et al. (2007). Cytherella sp. (Fig. 9.H–J) Part 1976 Cytherella serratula®Puri & Hulings: 288.
label). Cytherella sp. (Fig. 9.H-J) differs from Cytherella serratula (Brady, 1880) (Fig. 9.A-G) because the former species present the anterior area of valve lateral surface with shallow, elongate punctae arranged in concentric rows which are parallel to anterior valve margin. Additionally, Cytherella sp. is higher in relation to length and more equilateral than Cytherella serratula. Discussion 1. Morphology and Geographical Distribution Contrary to most of the platycopids (Horne et al. 2002), males of Cytherella rwhatleyi sp. nov. have a brush-shaped organ (Fig. 8E). Other records of brush-shaped organs in cytherellids include four species of Cytherella and one species of Cytherelloidea (Schulz 1976, Figs. 2, 12, 18; Swanson et al. 2005, Figs. 3G, 5D). Since the brush-shaped organ is present in most of the infrarders of Podocopa (Bairdiocopina, Cytherocopina, Cypridocopina) and also in only the five platycopid species (in two genera) an epigenetic control of this character is suggested herein. In this way, the expression of that organ could have been turned “off” before the origin of the platycopids, but was subsequently “turned on” in this few cytherellids. The genus Cytherella was already quite widespread in the southern hemisphere during the Cretaceous and early Cenozoic, and records involve, for example, Southern Africa (Dingle 1984), Antarctic Peninsula (Fauth et al. 2003), Maud Rise (Majoran et al. 1997), New Zealand (Ayress 1995). Somehow surprising, is then the low number of recent deep-sea Cytherella species reported from the Atlantic Sector of the Southern Ocean and from the South Atlantic: few species from the South Atlantic, and only Cytherella rwhatleyi from the continental margin off Antarctica. Otherwise, a considerably higher diversity of recent deep-sea platycopids (12 species in 3 genera) exists nowadays on the Southwestern Pacific (Jellinek & Swanson 2003). This picture might be related to the large sampling effort related with several projects (e.g. TASQWA, see Jellinek & Swanson 2003), which focused on the continental margins and plateaus from the Southwestern Pacific. In the Atlantic Ocean and on the Antarctic continental margin a considerable smaller number of samples from recent sediments have been collected, or at least studied and published. Otherwise, considering the Antarctic margin, it is possible that the extremely low temperatures existing since millions of years might have been responsible for the extinction of platycopid lineages, which were present there during the warmer Cretaceous (Majoran et al. 1997). Additionally, some environmental parameter related to depth appear to be prohibitive for platycopids, which are widespread in the continental shelves and margins of most continents, but are almost absent in abyssal plains. In this way, the abyssal plains seam to be biogeographical barriers to the Cytherella species and as a result each continental region tends to present its own fauna. Furthermore, considering the Southwestern Pacific, the northward currents present at the intermediate depths seam to represent a barrier to EastWest dispersion of cytherellids, since different species are found on each side of New Zealand (Fig. 10). The large number of live specimens available herein made an evaluation on the intraspecific morphological variability in a deep-sea cytherellid species possible. This evaluation provides a base which can be used for the definition of subfossil and fossil species morphological range in platycopids. This morphological range will then be important for the correct identification of specimens, essential to biodiversity, genetic, paleoenvironmental, and geochemical studies. In the case of Cytherella rwhatleyi sp. nov., little if any intrapopulational (same station) or interpopulational (different stations) variation in outline and ornamentation of valves (Figs. 3, 4) and on the hemipenis was observed. Few papers provide SEM-photos of several specimens of the same species, however, a similar lack of carapace variability can also be seen in the literature (Swanson et al., 2005). These observations contradict the actual very broad intraspecific morphological variability accepted by most researchers in studies about deep-sea ostracods. Acknowledgements Dr. Dietmar Keyser (ZMH) for his very careful supervision. Dr. Carol Schöning for revising the English. Renate Walter (ZMH) helped with the SEM-photos and computer programs. I also acknowledge Prof. Dr. Angelika Brandt and Dr. Brigitte Ebbe for the coordination of the ANDEEP Project, and the crew and the scientists on board of the R. V. Polarstern during the 4 cruises. Dr. Miranda Lowe (The Natural History Museum, London) is acknowledged for permission of studying the Challenger type material. The revisions from Dr. Kerry Swanson (University of Caterbury) and one anonymous referee greatly improved this publication. Both institutions DAAD (Germany) and CAPES (Brazil) financially supported the author. This is the ANDEEP publication no. 97.
biologie, 4(2), 279–295. Hartmann,G. (1997) Antarctic and subantarctic Podocopa (Ostracoda). Theses Zoologicae, 26, 1–355. Hedpeth, J.W. (1969) Distribution of selected groups of marine invertebrates in waters south of 35°S latitude. Antarctic Map Folio Series, Folio 11: 1–29. Horne, D. J., Cohen, A. & Martens, K. (2002) Taxonomy, morphology and biology of Quaternary and living Ostracoda. In: Holmes, J. A. & Chivas, A. R. (Eds. ), The Ostracoda. Applications in Quaternary Research. American Geophysical Union, Washington D. C., pp. 5–35. Jarvis, I., Carson, G.A., Cooper, M.K.E., Hart, M.B., Leary, P.N., Tocher, B.A., Horne, D.J. & Rosenfeld, A. (1988) Microfossil assemblages and the Cenomanian-Turonian (Late Cretaceous) oceanic anoxic event. Cretaceous Research, 9(1), 3–103. Jellinek, T. & Swanson, K.M. (2003) Report on the taxonomy, biogeography and phylogeny of mostly living benthic Ostracoda (Crustacea) from deep-sea samples (Intermediate water depths) from the Challenger Plateau (Tasman Sea) and Campbell Plateau (Southern Ocean), New Zealand. Abhandlungen der Senckenbergischen Naturforschenden Gesellschaft, 558, 1–329. Majoran, S. & Dingle, R.V. (2001a) Cenozoic deep-sea ostracods from southwestern South Atlantic (DSDP/ODP sites 329, 513 and 699). Revista Española de Micropaleontologia, 33(2), 205–215. Majoran, S. & Dingle, R.V. (2001b) Palaeoceanographical changes recorded by Cenozoic deep-sea ostracod assemblages from the South Atlantic and the Southern Ocean (ODP Sites 1087 and 1088). Lethaia, 34, 63–83. Majoran, S. & Dingle R.V. (2002) Cenozoic deep-sea ostracods from Maud Rise, Weddell Sea, Antarctica (ODP Site 689): A palaeoceanographical perspective. Geobios, 35(1), 137–152. Majoran, S., Widmark, J.G.V. & Kucera, M. (1997) Palaeoecological preferences and geographical distribution of late Maastrichtian deep-sea ostracods in the South Atlantic. Lethaia, 30(1), 53–64. Mazzini, I. (2005) Taxonomy, biogeography and ecology of Quaternary benthic Ostracoda (Crustacea) from circumpolar deep water of the Emerald Basin (Southern Ocean) and the S Tasman Rise (Tasman Sea). Senckenbergiana maritima, 35(1), 1–119. Peypouquet, J.P. & Benson, R.H. (1980) Les ostracodes actuels des bassins du Cap et d'Angola: distribution bathymetrique en fonction de l'hydrologie. Bulletin de l'Institut de Geologie du Bassin d'Aquitaine, 28, 5–12. Puri, H.S. & Hulings, N.C. (1976) Designation of lectotypes of some ostracods from the Challenger expedition. Bulletin of the British Museum, 29, 251–315. Schlitzer, R. (2000) Electronic Atlas of WOCE Hydrographic and Tracer Data Now Available. Eos, Transactions, American Geophysical Union, 81(5), 45. The e Woce atlas is available from http://www.awi-bremerhaven.de/GEO/ eWOCE (accessed 1 July 2007). Schlitzer, R. (2007) Ocean Data View. Available from: http://odv.awi.de (accessed 4 July 2007). Schulz, K. (1976) Das Chitinskelett der Podocopida (Ostracoda, Crustacea) und die Frage der Metamerie dieser Gruppe. University of Hamburg, p. 1–167. Unpublished Ph. D. Thesis. Schornikov, E.I. & Keyser, D. (2004) The morphology and classification of Paradoxostomatinae (Ostracoda) from the nearshore zone of Madeira and the Canary Islands. Revista Española de Micropaleontologia, 36, 57–81. Swanson, K. M., Jellinek, T. & Malz, H. (2005) The platycopine condition: new observations on reproduction, respiration and feeding in living, deep-sea Platycopina (Crustacea, Ostracoda). Senckenbergiana maritime, 35(2), 157–187. Tomczak, M. & Godfrey, J. S. (2002) Regional Oceanography: An Introduction. Version 1.2. Available from http:// www.cmima.csic.es/mirror/mattom/regoc/pdfversion.html. Tsukagoshi, A., Okada, R. & Horne D. J. (2006) Appendage homologies and the first record of eyes in platycopid ostracods, with the description of a new species of Keijcyoidea (Crustacea: Ostracoda) from Japan. Hydrobiologia, 559, 255–274. Whatley, R.C. (1991) The platycopid signal: a means of detecting kenoxic events using Ostracoda. Journal of Micropalaeontology, 10, 181–183. Whatley, R.C. (1995) Ostracoda and oceanic palaeoxygen levels. Mitteilungen aus dem Hamburgischen Zoologischen Museum und Institut, 92, 337–353. Whatley, R. C. & Arias, C. F. (1993) Palaeogene Ostracoda from the Tripoli Basin Libya. Revista Española de Micropaleontologia, 25(2), 125–154. Whatley, R.C. & Ayress, M. (1988) Pandemic and endemic distribution patterns in Quaternary deep-sea Ostracoda. 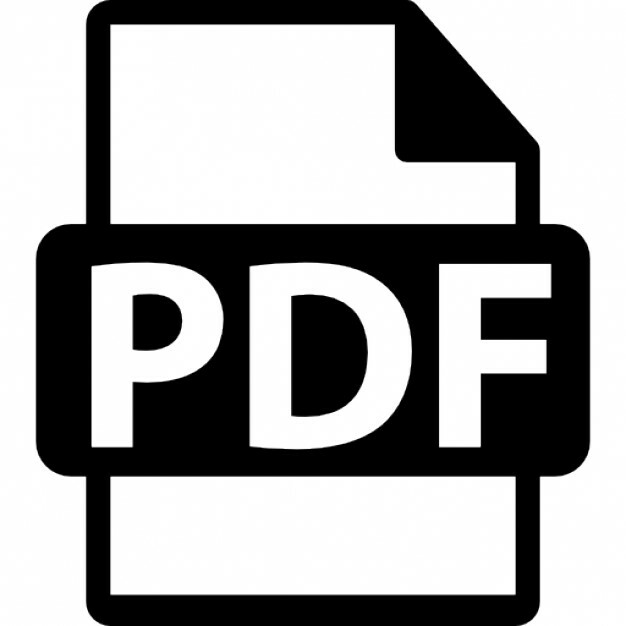 Developments in Palaeontology and Stratigraphy, 11, 739–755. Whatley, R.C. & Coles, G. (1987) The Late Miocene to Quaternary Ostracoda of Leg 94, Deep Sea Drilling Project. Revista Española de Micropaleontologia, 19, 33–98. Whatley, R. C. & Cusminsky, C. (2002) Upper Pliocene Ostracoda from the Burdwood Bank, SW Atlantic. Revista Española de Micropaleontologia, 34(1), 53–80. Whatley, R.C., Moguilevsky, A., Toy, N., Chadwick, J. & Feijo Ramos, M.I. (1997) Ostracoda from the South west Atlantic. Part 2. The littoral fauna from between Tierra del Fuego and the Rio de la Plata. Revista Española de Micropaleontologia, 29, 5–83. Whatley, R.C., Moguilevsky, A., Chadwick, J., Toy, N. & Feijo Ramos, M.I. (1998) Ostracoda from the south west Atlantic. Part 3. The Argentinian, Uruguayan and southern Brazilian continental shelf. Revista Española de Micropaleontologia, 30, 89–116. Whatley, R.C., Staunton, M., Kaesler, R.L. & Moguilevsky, A. (1996) The taxonomy of Recent Ostracoda from the southern part of the Strait of Magellan. Revista Española de Micropaleontologia, 28, 51–76. Whatley, R.C., Pyne, R.S. & Wilkinson, I.P. (2003) Ostracoda and palaeo-oxygen levels, with particular reference to the Upper Cretaceous of East Anglia. Palaeogeography, Palaeoclimatology, Palaeoecology, 194, 355–386.